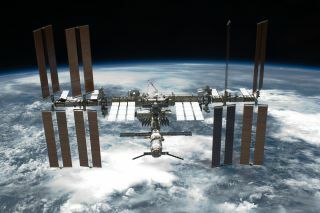 The International Space Station, which has been continuously occupied by rotating astronaut crews since November 2000. Lengthy space missions such as a journey to Mars may take a serious toll on astronauts' immune systems, a recent study suggests. Researchers analyzed blood samples from eight astronauts who served roughly six-month missions aboard the International Space Station. They found significant negative impacts on "natural killer" (NK) cells, a class of white blood cell that knocks out cancer cells. This could be a concern for astronauts and mission planners, given NK cells' role in the immune system. "Cancer is a big risk to astronauts during very prolonged spaceflight missions because of the exposure to radiation," Simpson said. NK cells "are also very important to kill off virally infected cells," he added. "When you're in the space station, it's a very sterile environment — you're not likely to pick up the flu or a rhinovirus or some community-type infection — but the infections that are a problem are the viruses that are already in your body. These are mostly viruses that cause things like shingles, mononucleosis or cold sores; they stay in your body for the rest of your life, and they do reactivate when you're stressed." Nailing down exactly what's going on is an important next step, so that researchers can try to mitigate the deleterious effect, study team members said. The recent findings, which were published last November in the Journal of Applied Physiology, add to the lengthy list of spaceflight-related health effects. For example, long-duration spaceflight can cause vision problems, and it's known to decrease bone density and cause muscle atrophy (which is why rigorous exercise is a staple of every space station crewmember's day).